I was a complete coffee addict, I HAD to have it every morning and if I did not drink my cup of coffee than I was grumpy, irritable, and most likely I had a killer headache. Although coffee has proven health benefits that I will list below, I didn’t like the attachment I had to it and I wanted to be able to prove that I didn’t NEED it. Another reason I transitioned was due to the fact that I cannot just drink black coffee, I am a huge fan of the super high sugar creamers that add an insane amount of calories, fat, and added sugar that my body doesn’t need! *Disclaimer, peppermint and pumpkin spice creamer were my weaknesses. The pumpkin spice latte from Starbucks contains 380 calories and 120 of those calories are from fat! You better believe that I haven’t ordered one of those in awhile. Coffee Health Benefits: These health benefits are associated with the high antioxidant capacity that the coffee bean contains as well as the caffeine content. Over just a week long period, I slowly replaced coffee with black or green tea. Due to the difference in caffeine content, I consumed 4-5 cups of black or green tea throughout the day versus my 2 cups of black coffee that I was consuming prior. I am currently down to just 2-3 cups of tea a day and I no longer feel like I “crash” throughout the day which I previously experienced with my coffee consumption. I am consuming less calories with the substitution of tea from coffee due to not adding anything to my cup of tea. I enjoy my tea plain and this helps me not add excess and unneeded calories and sugar into my diet which contributes to me not crashing in the middle of the day from a sugar high. Side note on what is classified as tea: for tea to be labeled as “tea” it must come from the camellia sinensis plant. The four varieties of tea that come from this plant are black tea, green tea, oolong tea, and white tea. The leaves of the plant are withered and oxidized and dried to different levels to product the varying colors, flavors, and caffeine content present in the different tea varieties. Herbal teas do not come from the camellia sinensis plant so they technically aren’t considered tea, they are any beverage that is produced by steeping boiled water over herbs including leaves, flowers, roots, bark, and even sticks. 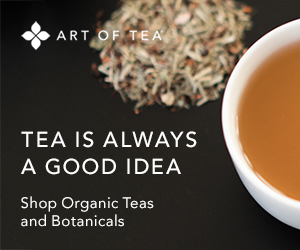 Herbal teas do contain health benefits but they are not comparable to the true tea sources. More research needs to be done in the area of herbal tea for conclusive evidence on health claims. The health benefits listed below do not include herbal teas. Tea Health Benefits: Tea is a source of tannins, caffeine, and minerals such as calcium, potassium, phosphorus, manganese, magnesium, sodium, copper, and zinc. Health benefits are mainly attributed to their high antioxidant and polyphenol content. Coffee and tea both reduce the risk of developing type 2 diabetes, through action of their constituent polyphenols. So whichever you decide to drink, you will still be gaining health benefits! I can’t say the same for energy drinks or sugar-sweetened beverages. A bonus fact is that tea is cheaper than other caffeine containing beverages, look at me, saving a few dollars here and there! If you have any other questions related to tea or coffee, send me a message and I would love to chat! Coffee drinking statistics. Statistic brain website. http://www.statisticbrain.com/coffee-drinking-statistics. July 31, 2012. Freedman ND, Park Y, Abnet CC, Hollenbeck AR, Sinha R. Association of coffee drinking with total and cause-specific mortality. N Engl J Med. 2012;366(20):1891-1904. Study: coffee combats diabetes. Newsmax Health website. http://www.newsmaxhealth.com/Diabetes/coffee-diabetes-prevention-decaf/2012/12/05/id/484740. December 5, 2012. A cup of coffee may help control movement and other symptoms in Parkinson’s patients. Medical Daily website. http://www.medicaldaily.com/articles/11224/20120801/parkinsons-disease-coffee-symptoms-movement-speed.htm. August 1, 2012. Accessed January 4, 2013. Coffee tied to lower prostate cancer risk. Harvard Gazette website. http://news.harvard.edu/gazette/story/2011/05/coffee-tied-to-lower-prostate-cancer-risk. May 17, 2011. Next postChickpea Casserole, Black Bean Brownies, and Zucchini and Potato Tian Recipes. Every-time I drink tea I think of you!!! Your tea consumption is probably why you are so healthy and fit 🙂 I love the fact that you bring your own tea, and you are right about hot tea not being an option is most places, what a bummer! Thanks for reading along!